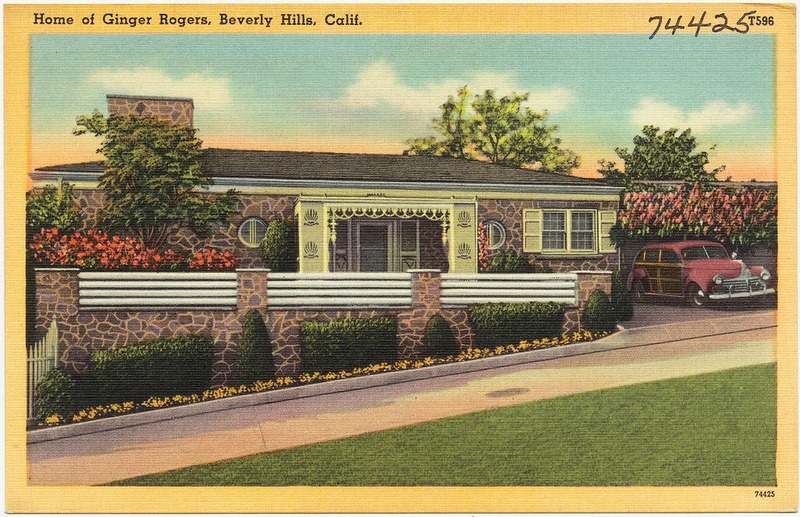 Among the over 900 postcards of 1930s-40s California held by the Boston Public Library, a distinct set stands out. 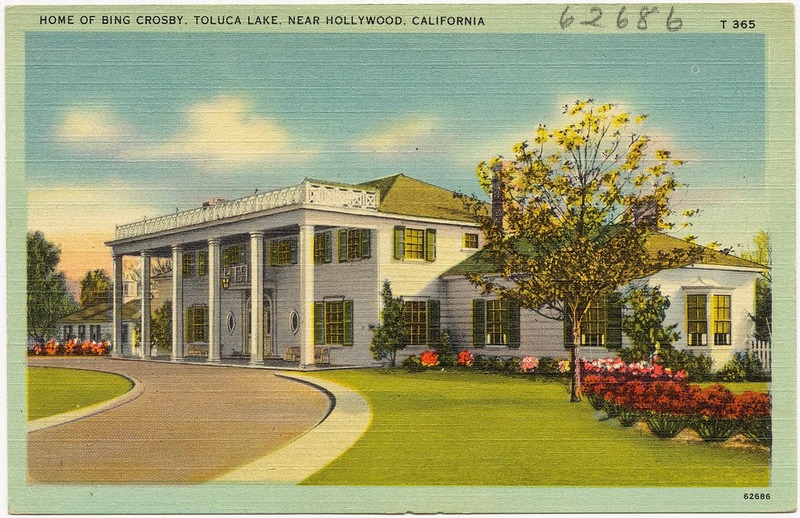 Apparently in this period it was very popular to print postcards depicting the private homes of movie stars. Many are even verifiable as having belonged to the named celebrity. Even then, the line between the private and public lives of celebrities was certainly blurred. These aren't dated (beyond the vague ca. 1930-1945 range given to the entire collection), but based on the celebrities, they seem to come from the mid to late thirties. 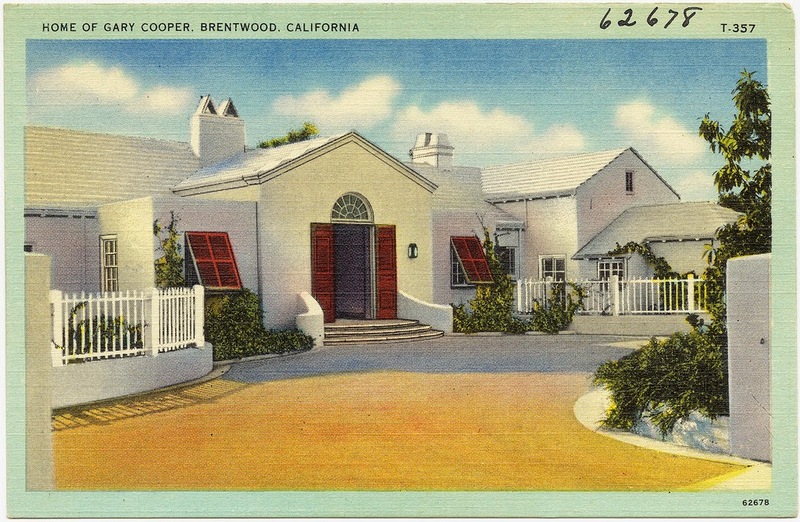 The first postcard below, the home of Bing Crosby, was certainly created between 1936, when the house was constructed, and 1942, when it burned down. 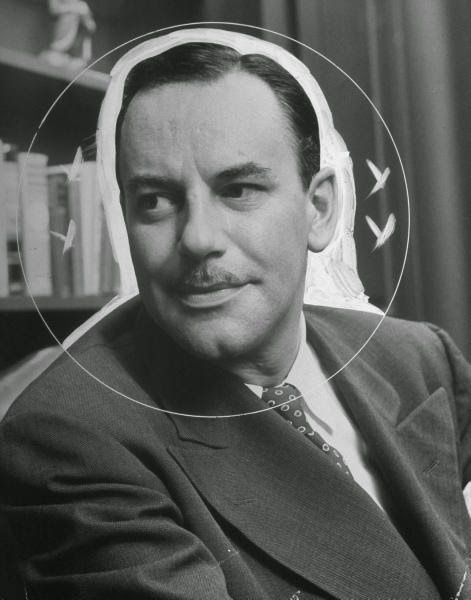 Before Photoshop, photographs were hardly left untouched. Professional portraits were retouched and airbrushed from the start. 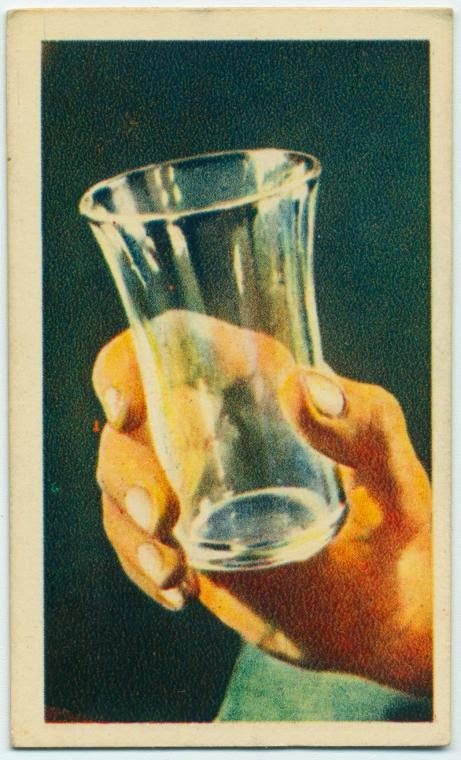 Press prints in particular were worked over to meet the needs of page layout and halftone printing. The main difference is simply in the marks left behind. Crop marks and the painting out of backgrounds for a cut-out effect are common leftovers of the manipulator's hand, leaving behind a wealth of inadvertent surrealism. 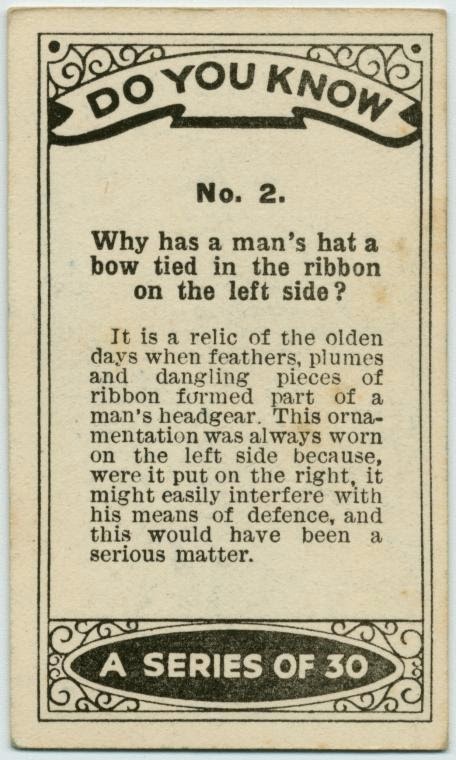 Cards depicting professional baseball players began to be produced in the 1880s, as a sub-variety of cigarette card. 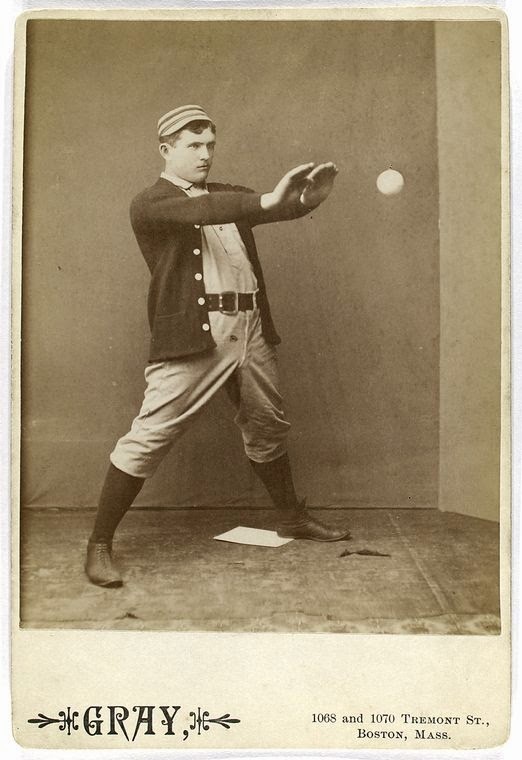 Though some of these were simple head-and-shoulder portraits, there was a greater interest in images of baseball players actually playing baseball. The problem was that camera technology at the time was not quite up to the task of actually capturing action (at least, not without extremely specialized equipment like Muybridge's). The compromise was these posed studio portraits. 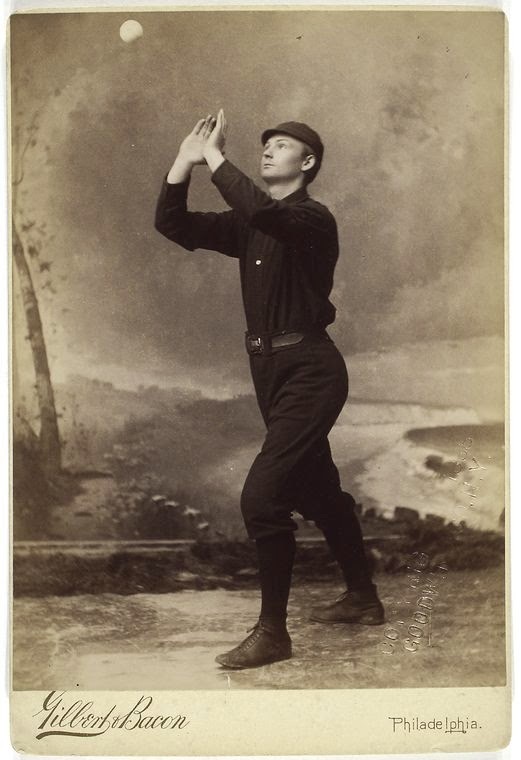 Baseball players would pose as if throwing, catching, or batting balls suspended on wire. Most, it must be said, were not natural models. 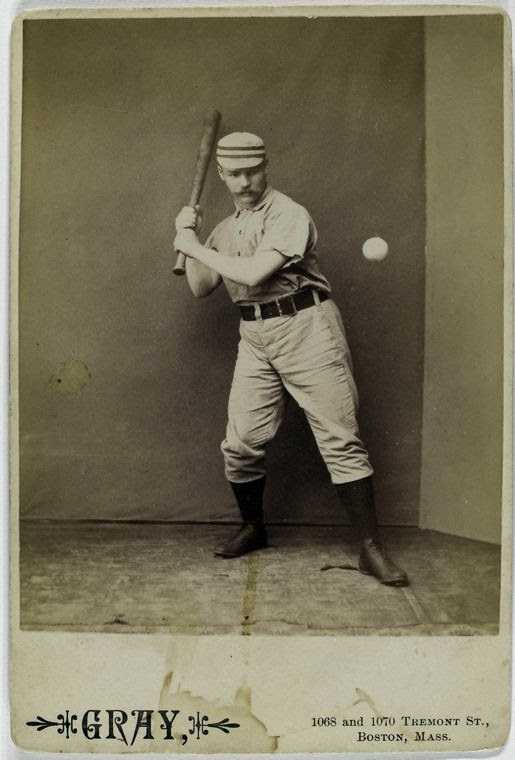 Large numbers of these early baseball portraits are held by the Library of Congress, which has over 2,000 early baseball cards (photographs, lithographs, and half-tone), and the New York Public Library, which holds many cabinet card-mounted versions of the same photographs used for the mass-produced cigarette cards (see, for instance, this mounted print and this cigarette card). 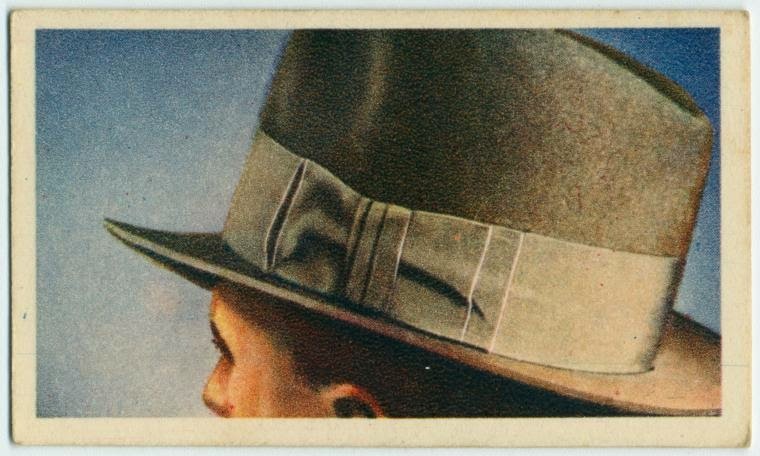 This post draws mainly from the higher quality card-mounted prints from the NYPL, but interested viewers are highly advised to check out both collections--even for a non-baseball fan like myself, they are tremendous fun. 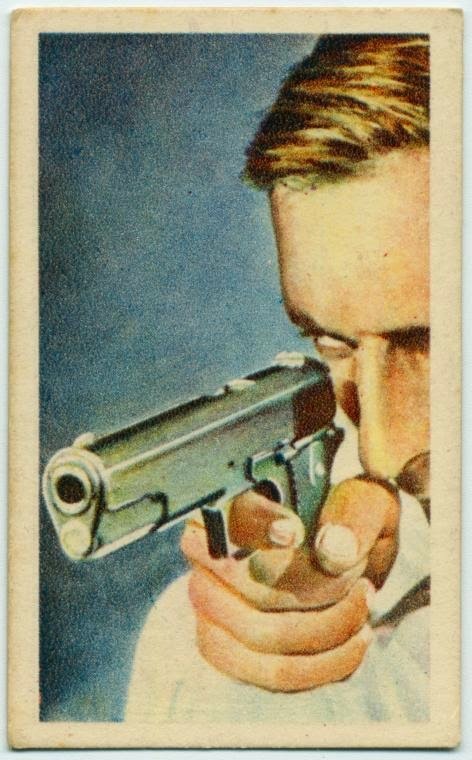 Illustrated cigarette cards from the 1920s and 30s with the theme of "do you know?" Though the set these belong to is the most visually interesting, this theme ran for hundreds of cards. 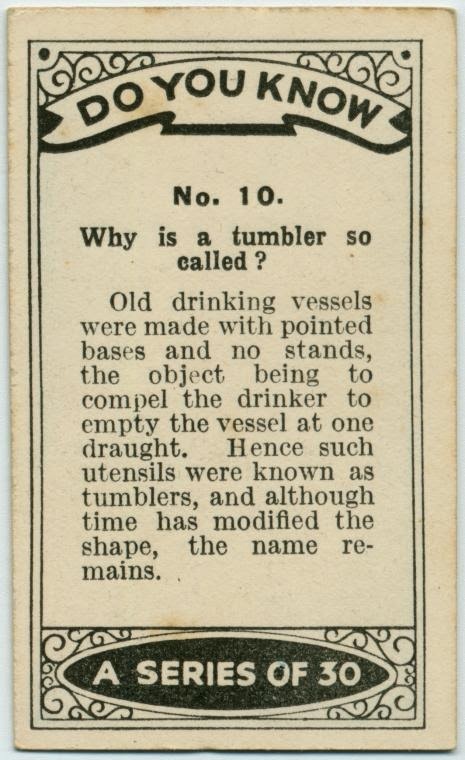 The best part of them is just how random the trivia is, jumping from "Why do we clink glasses?" 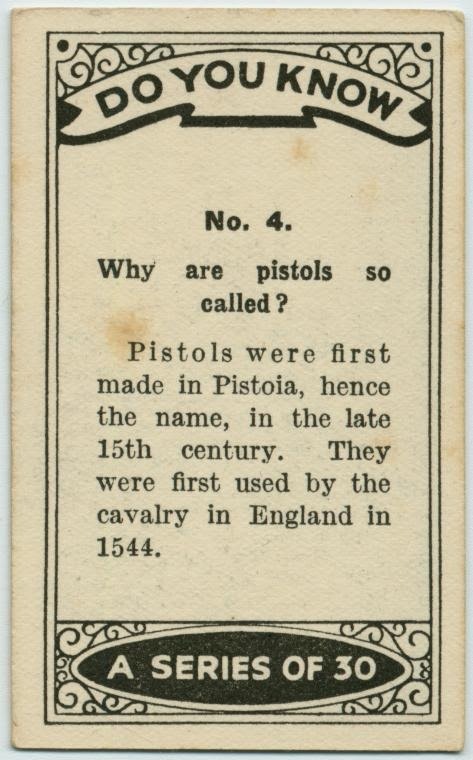 to "Why do we call them 'pistols'?" to "What is smoke? ", all in this one set of 30. David Octavius Hill and Robert Adamson were a pair of Scottish photographers working in the 1840s. They are best known for their wonderful portraits, but over the course of their sadly short partnership (Adamson died only five years in, aged 27) they also created quite a few city views. 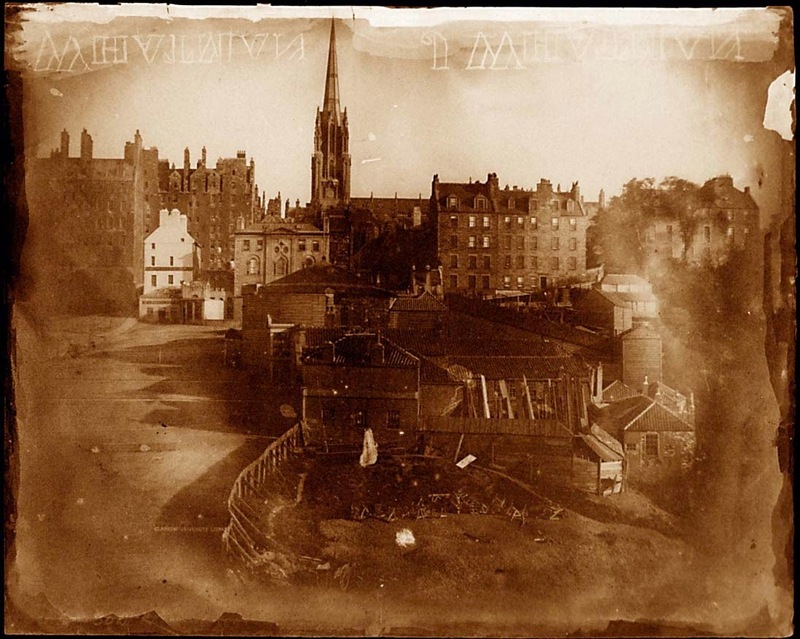 This blog has previously featured a selection of their photographs of St. Andrews, Adamson's hometown; today is Edinburgh, the city in which they worked. 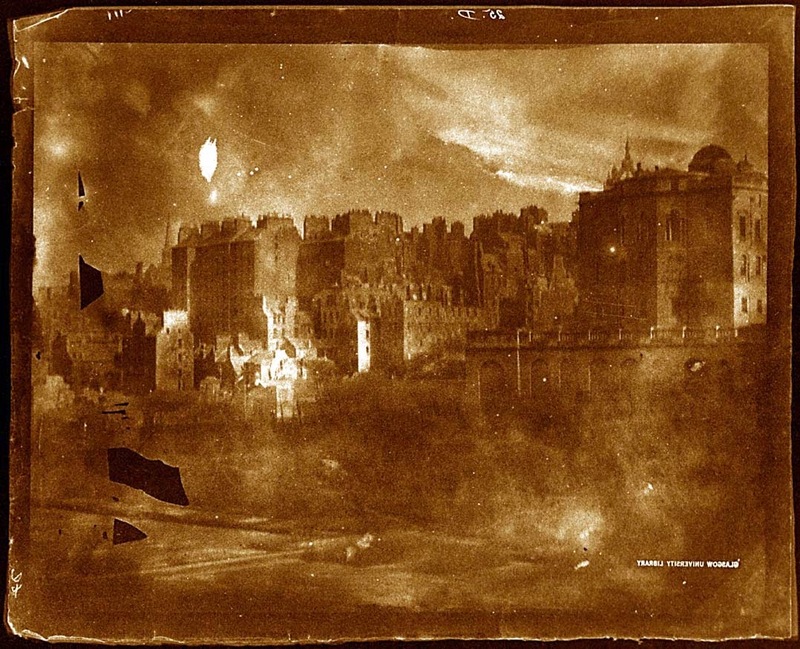 At a time when most photographers worked with daguerreotypes, Hill and Adamson used the negative-positive process, creating negatives on paper (calotypes) which could then be printed on salted paper. 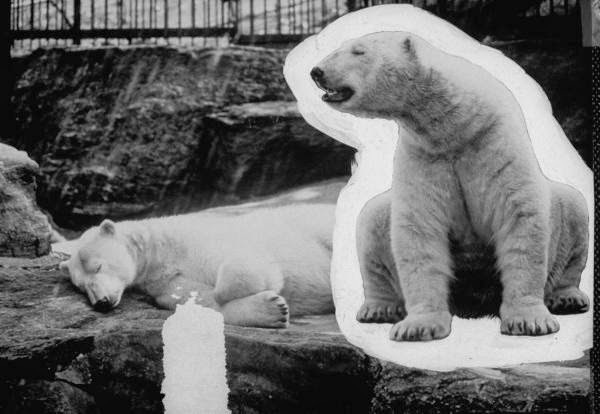 The Special Collections at the University of Glasgow holds large numbers of their original negatives, and their online collection provides digitally reversed positive images. The photographs are wonderful not only as some of the earliest views of a beautiful city, but for the aesthetic of the early paper negative. 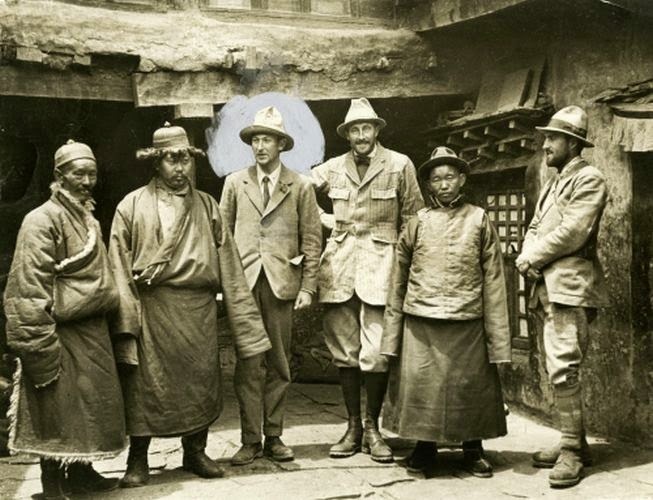 Even with skill level like Hill and Adamson's, the process was still highly unpredictable. The photographs are imperfect--which, I feel, is ultimately a testament to the incredible fact of their existence. 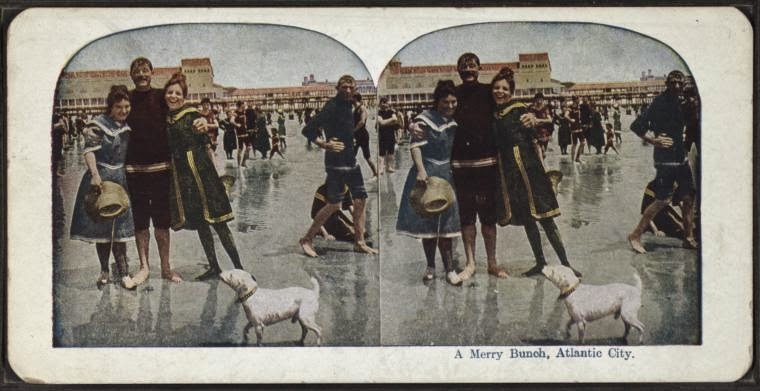 It's always delightful to come across photographs of nineteenth-century people having fun. 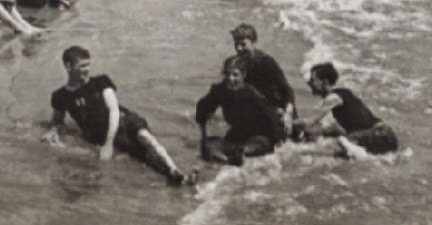 We're so used to the image of the stern, still Victorians that as soon as you see them relaxed and smiling, they almost stop seeming like Victorians. Suddenly they look like they could be people we know, just in costume, and the gap between 2014 and 1894 seems suddenly a lot less. 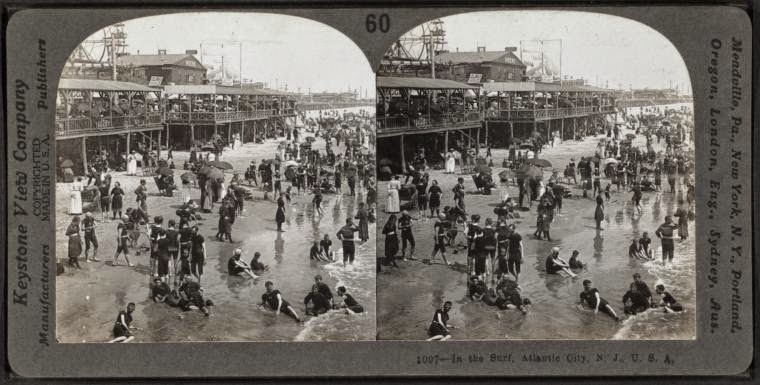 These stereographs, from the Atlantic City beach in the 1890s, have quite a bit of that wonderful "just people in costume" feel.